COMMENTARY – BYU is knee-deep in West Coast Conference play, with games tonight (9 p.m. against Loyola Marymount at the Marriott Center) and Saturday (7 p.m. against San Diego, also in Provo). These are important games, ones the Cougars can ill-afford to lose if they want to compete with Saint Mary’s and Gonzaga at the top of the conference. LMU is not very good (6-13 overall), but USD should provide a stern test for BYU as the Toreros come into this weekend with a 13-5 overall record and are tied with the Cougars at 4-2 in league play. In fact, both teams have lost to Pacific and Saint Mary’s and neither team has yet played Gonzaga. Last season, as a freshman, Haws averaged 13.8 points per game. He rarely had a bad shooting night and finished the year with 76 made 3-pointers (about three per game) on 188 attempts for an impressive 40.4 percent from beyond the arc. He had several huge games, including a 29-point outing against No. 1-ranked Gonzaga and a 27-point game at the aforementioned San Diego. Even as a freshman, he never had a “bad” game, scoring at least seven points in all 34 of BYU’s contests. He was the model of consistency, hitting at least one 3-pointer in 30 of 34 games and at least two 3-pointers in 22 of those games. But this year, Haws has been about as consistent as a St. George rainstorm. 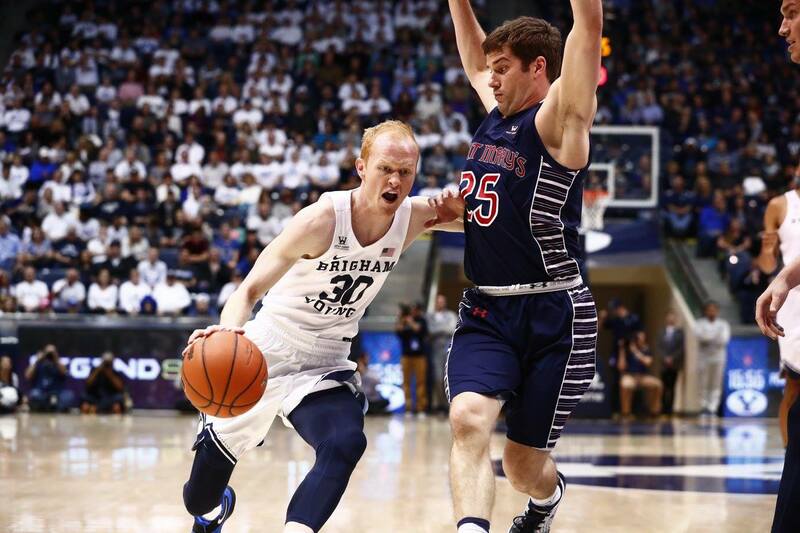 His numbers in his sophomore season: Haws’ scoring average is down to 11.1 points per game. There have been five games when he didn’t hit a 3-pointer (out of 19) and only six in which he has hit more than one. His shooting percentage from deep has dropped to 34.2 and he’s had a couple of games where he pretty much was persona non grata. Against UMass, Haws shot 0 for 10 from the floor and had one point and against Utah he made just 1 of 7 shots and scored just four points. His overall shooting has gone from 42.4 last year to 37.9 this season. He’s playing more minutes (32.7 per game this year, 30.6 last year), but his numbers are down. Is it a sophomore slump, or is the absence of Nick Emery in the lineup giving Haws less good looks? Or is it something else, maybe some distractions off the court? First of all, it’s notable that TJ himself isn’t too worried about it. Certainly, Emery’s absence (he took the year off to take care of his personal life) has been a factor. Last season, Emery and Eric Mika drew the main focus of every opponent’s defensive game plan. Basically, teams spent their prep time trying to figure out how to stop Mika, and then how to keep Emery from getting open looks. Haws was, essentially, collateral damage. A risk they were willing to take. But something funny happened at the end of last season. It was, in fact, Haws that was named first team all-conference, and not Emery. While Emery represented a scary deep threat who could go off at any time, Haws’ consistency (and excellent passing ability) actually made him a better player, and the conference recognized that. But then this year happened, and that consistency has gone away. He’s had good stretches. In back-to-back games against Illinois State and Weber State, he scored 24 and 20 points and hit 8 of 15 3-pointers in the two games. But the night-in and night-out solid contribution hasn’t been there. Another factor, perhaps, is the emergence of Elijah Bryant as a star. Haws is scoring less, but also shooting less. In 2016-17 he averaged just over 10 shot attempts per game. So far in 2017-18, he’s taking 9.3 shots per contest. It’s not a huge change, but it is significant. With Childs and Bryant taking more shots, there are less attempts to go around. Of course, the change in philosophy for the Cougars is a major factor as well. 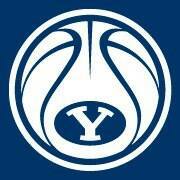 Last season, BYU averaged 80.6 points per game (and gave up 74.3 ppg). This year, with Heath Schroyer coaching up the defense, the Cougars are scoring 75.3 points per contest, and allowing just 65.1 points a game. But those numbers only explain the lower shot attempts and lower scoring average for Haws. What about the lower shooting percentage? Truth be told, it probably is a bit of a sophomore slump. He stormed the conference last year. Little was expected out of him, and little attention was paid to him on defense. And he flourished being the fourth or fifth option on offense. This year, the pressure (both physically and mentally) is much higher. 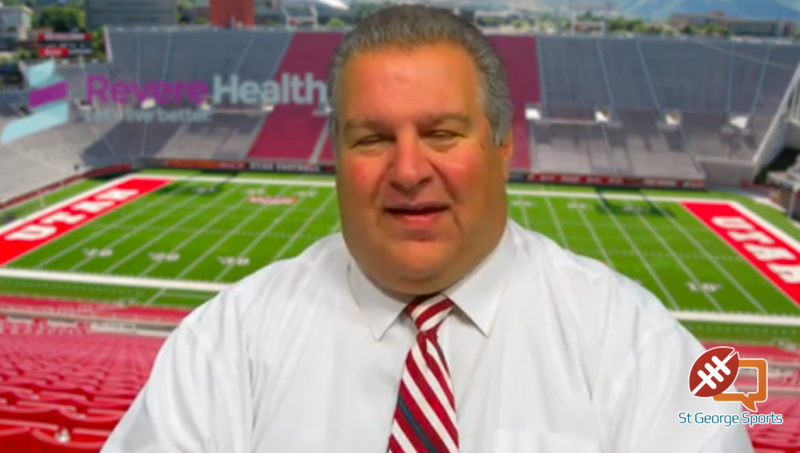 BYU needs Haws to produce on offense. Last year, the Cougars had Mika, Emery, Childs, Bryant and even Kyle Davis (before he was injured). This year, the scoring falls to Childs, Bryant and then Haws. Any offense from guys like Zac Seljaas, Jahshire Hardnett, Luke Worthington, McKay Cannon and Payton Dastrup is just bonus. The good news is that, after a horrific recent stretch of eight games in which Haws was a miserable 4 for 20 from deep and averaged just 8.5 points per contest, the sophomore guard looked sharp in the Cougars’ 84-50 win over Santa Clara. He made 4 of 5 treys and finished with 14 points, four assists and a steal. That is what BYU has got to have from TJ Haws. Yep, the pressure is bigger now. BYU needs Haws to produce in order to win. Haws playing consistently is synonymous with BYU winning consistently. 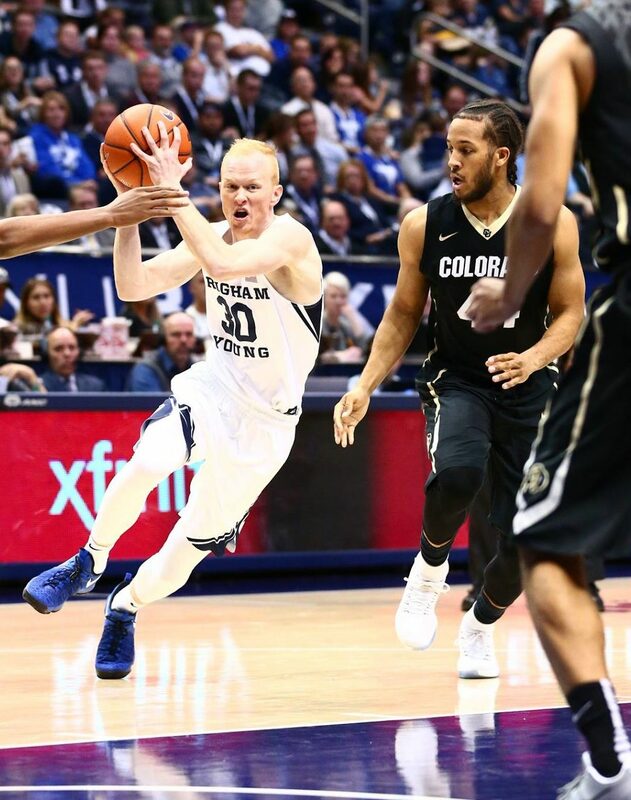 If this season is going to have a happy ending for the Cougars, TJ Haws is going to have to write it. Blue Blood is a sports column written by Andy Griffin. The opinions expressed are not necessarily those of St. George News.